Anyone else wondering whether Ben should be doing the tactics and someone else (skif/cat/moth) be doing the driving.....? That thought did occur to me, then I recalled he won the ACWS while driving so I think and hope he's in the right spot. They seem to have difficulty setting the boat up for differing wind strengths. Fortunately, tonight, FRA were worse, but NZL took BAR apart. Always the same once they become celebs.. hunger all gone. You would have thought rigging issues would have been sorted out well before main event, that he seems to be an adjustment behind other boats. Who trims the foils? That's seems the weakest part. They beat NZ to the first mark, but splash down too often when turning. NZ were sailing 50percent faster than BAR. Light wind sailing is a skill and art developed by years of experience doing it. I sailed many light wind races in wind speeds below force 1. 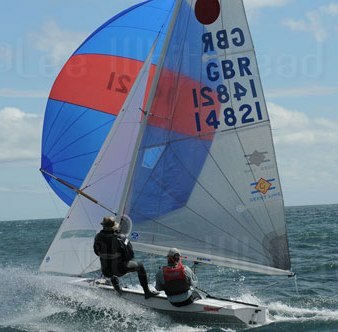 Great fun especially being able to sail twice the speed of the rest of the fleet. Ben needs some experienced light wind inland sailors to help him out. When the winds are light you need to know all the secrets. So,,,,what actually happened... there was a breakage and the foil in the starboard hull wasn't able to be adjusted during the first gybe against ETNZ. In order to be able to sail in the race against Groupama Team France they needed to make repairs. In order to have enough time to do that, they retired. Arguably they should have retired against Softbank Team Japan. The damage that was found to have occurred at the end of the race almost ended their campaign.